Product #17497 | SKU SR16A4 | 0.0 (no ratings yet) Thanks for your rating! 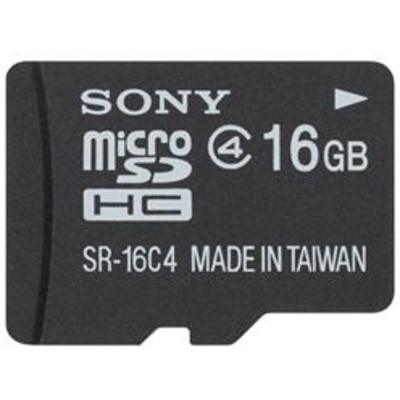 This 16GB microSDHC Class 4 Memory Card from Sony supports Full HD video recording for stunning and captivating results. The package includes microSD adapter and downloadable file rescue software helps recover photos and videos that have been accidentally damaged or deleted.